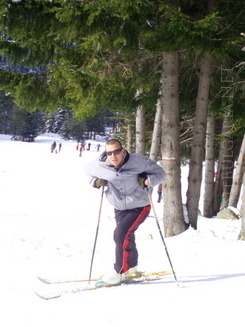 Malyovitsa is a small resort 40 kilometers away from Borovets. The nature there is great and picturesque. It is situated on the north- western part of Rila 13 kilometers away from the village of Govedarci and 27 from Samokov and is connected by a good road. There are several ski pistes and several sport equipment in the region. There are also a lot of cosy and comfortable restaurants, where you can eat and drink or just take rest listening to nice music on a cup of coffee or refreshments. 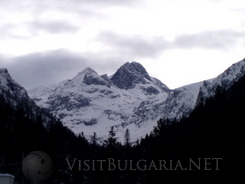 Malyovitsa is a famous site for the Bulgarian tourism and alpinism. Except for the Malyovitsa summit which is 2729 meters above the sea level, there are a dozen more peaks in the region that are raising and turning the foot of the mountain the most preferred part for mountain climbing and tourism in Bulgaria. One of the most beautiful lakes on the Balkan Peninsula – Strashnoto (the Frightful) is situated nearby. Malyovitsa is a starting position for many tourist routes that are leading to the northwestern part of the mountain: to the Ivan Vazov chalet (7 hours), to the Ribni ezera (Fish lakes) chalet (9- 10 hours), to the Rila Monastery (6 hours) and etc. Malyovitsa summit can be climbed for two- three hours by foot. There is also a regular bus transport to Govedarci and once a day to Samokov. Malyovitsa summit is situated in the north- western par of the Rila Mountain. It is 2729 meters high. The Malyovitsa resort is situated at the foot of the peak. Malyovitsa peak is a preferred site for alpinism and tourism. The biggest mountain walls are situated here as well as the most difficult climbing route in the whole country. Wonderful mountain scenery can be seen from here. 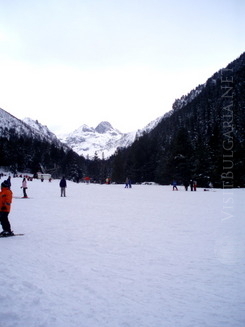 The total length of the Malyovitsa pistes is 4 kilometers. The longest one is Uleq- 1200 meters long. In its higher part it is a black run. The piste gets easier with the decrease of its height and in its lower parts it is a blue piste. The Rajdavica piste is 900 meters long, plus the road that connects it to the piste for beginners. 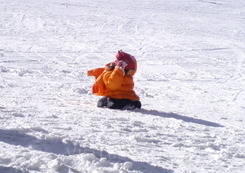 The pistes on Mecha Polqna (Bear’s Meadow) are mainly for beginners- short and light. Five drags are servicing the pistes. Two are for beginners one is for advanced and the others are t- bars. The piste in Govedarci is 900 meters and is equipped with lift.